When the weather cools down, people pay more attention to how they might help their own communities. The holiday season brings with it a drive to help others, give to charity, and do whatever is possible for those in need. Some communities host food drives, others collect warm clothing, and many schools do what they can to teach their students about helping others. One classroom hosted a “giving tree,” in which a local charity hangs little cards on a tree that is placed in the classroom. The cards reveal the name of a child in need and what they might like as a gift. 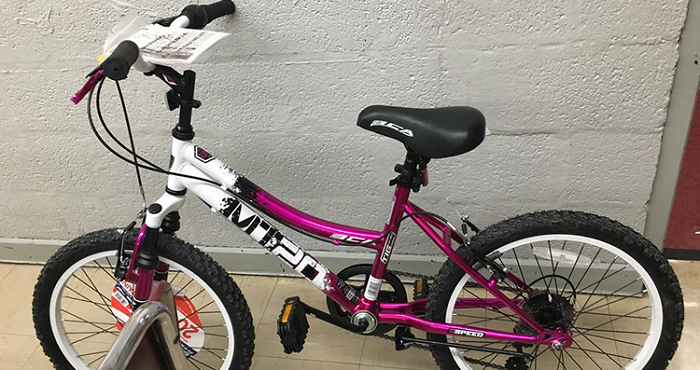 Without a word, one student rolled a brand new bike into the classroom for the little girl. No one asked them to buy it, and they didn’t want the recognition. They only wanted to make a stranger’s Christmas wish come true. The teacher couldn’t keep her eyes dry. The amount of generosity shown by the student was overwhelming and it proved, without a doubt, that the children got the message.